Full Size Quilts with Style. Detailed instructions included for cutting out. This quilt only looks dificult to sew. 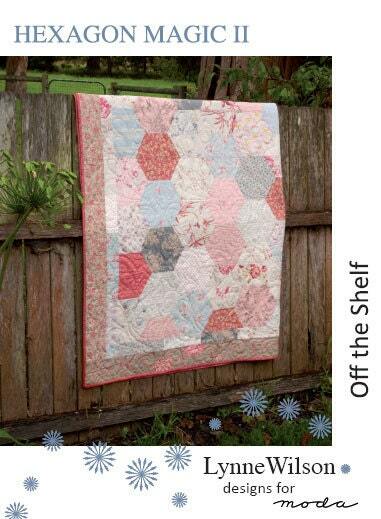 The simple pieced half hexagons go together quickly on the machine with no angles to fit. Fat quarter friendly and great for kits.